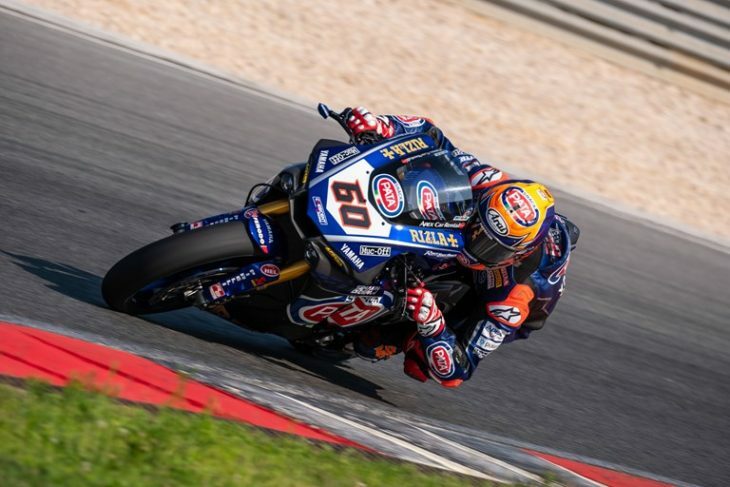 The Pata Yamaha Official WorldSBK Team heads to Portugal keen to continue where they left off ahead of the long summer break, as racing finally resumes this weekend with Round 10 of the 2018 MOTUL FIM World Superbike Championship at the Autodromo Internacional do Algarve in Portimão. Michael van der Mark heads into the weekend determined to repeat the success of Misano, where he signed off the first half of the season with a superb second place. Alex Lowes also has the podium firmly in his sights this weekend in Portimão, where he is confident of rediscovering the form that saw him secure his first WorldSBK race win in Brno earlier in the season. Both Pata Yamaha Official WorldSBK Team riders enjoyed a successful two-day test at the 4.6km Portimão circuit back in August, with van der Mark finishing third on combined times and teammate Lowes ending the test one place higher in second. The test, which saw the two riders complete more than 250 laps between them over the course of the two days, provided van der Mark and Lowes with an ideal opportunity to refine the set up of their Yamaha YZF-R1 machines in similar conditions to those they’ll experience when they return to race at the circuit this weekend. Lowes is also looking to get the second half of the season off to a flying start in Portimão. The 27-year-old British rider is currently fifth in the championship standings, equal on points with Marco Melandri, but two strong results this weekend could see him close on fourth placed Tom Sykes, who currently has a 25 point advantage over Lowes. Construction of the Autódromo Internacional do Algarve was completed in 2008 and the venue hosted its first WorldSBK round the same year. A high-speed rollercoaster of a track, the 4.6km circuit features a challenging layout that combines fast, sweeping turns with more technical corners and huge changes in elevation, making it demanding of both riders and machines. The Pata Yamaha Official WorldSBK Team kick off the action on Friday with FP1 at 09.45 local time, with qualifying on Saturday starting at 10.30. Lights out for Race 1 on Saturday will be at 13.00, whereas Race 2 on Sunday gets underway at the later time of 15.15.